Have you ever seen a keg take to the skies? Personally, I haven’t, which is why I’m psyched to attend OBX Brewtag on October 27. 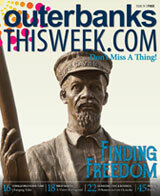 This annual event is the Outer Banks rendition of Germany’s Flutag, or Flying Day. Traditionally Flutag is a festival in which people compete for the most successful invention of a human-powered flying vehicle. However, since it’s also Octoberfest season, we on the Outer Banks take our favorite element of that (ahem, beer) and combine the celebration of both into one. The result: flying kegs and delicious beer. 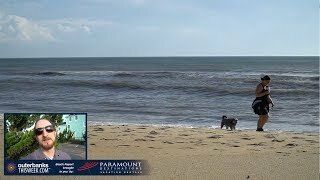 Kitty Hawk Kites presents OBX Brewtag annually in late October at the Soundside Event Site in Nags Head. Participants compete, some individually and others in teams, to see who can launch an empty 1/6 keg barrel the farthest. A platform is erected, kegs equipped with wings are rushed to the edge, and whether they fly or fall is still met with cheers from spectators on the ground. The entries are judged by distance they travel, how long they stay airborne and the creativity of the design. Competitors’ showmanship is also judged, and much of the fun comes from the people who really get in to it. Teams tend to channel a theme and boast a clever name, like The Smarty Pints and Growler Howlers. Showing up in costume or at least a funky group ensemble is also encouraged. 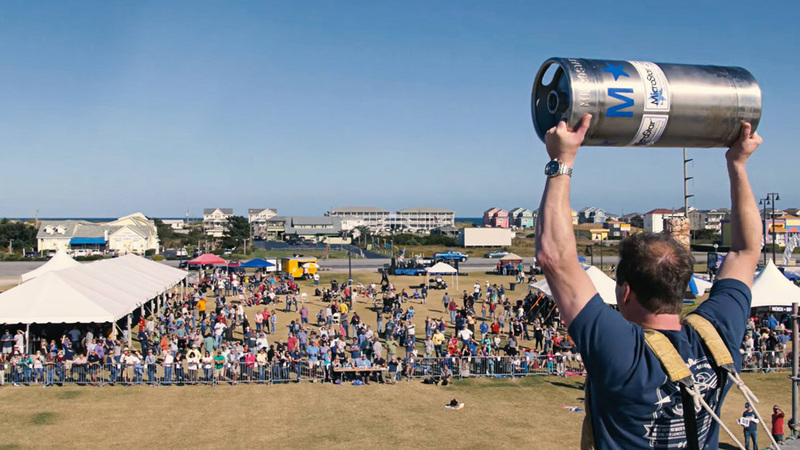 While many compete in OBX Brewtag, many more come to spectate and enjoy all the accompanying festivities. Sample a variety of beers. Dance to live music from bands like Cha Cha’s Cadillac and Voodoo Fix. Watch the kegs fly and vote for the Best Design. Mix and mingle. Aside from the airborne kegs, the beer garden attracts lots of attention at Brewtag. It features 74 craft brews from more than 30 local and regional breweries. While the event is free to attend, you’ll need a Brew Card ($25) to enjoy beverages at the beer garden. Use the card for up to four cups of beer or 12 tastings of different kinds. It’s an unbeatable way to sample some amazing flavors. Food from a selection of Outer Banks restaurants, like Mulligan’s Raw Bar and Grille and OBX Frozen Yogurt, will be available to purchase. 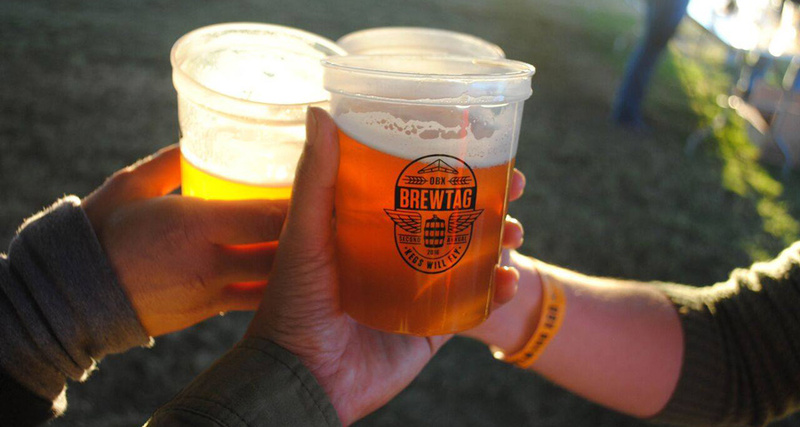 Don’t let the celebration of craft brews make you think that Brewtag is just for adults. It’s a family-friendly event. Young attendees have fun with the rock-climbing wall, corn hole, face painting, arts and crafts and even a mechanical surfing shark (don’t ask, you just need to see it for yourself). 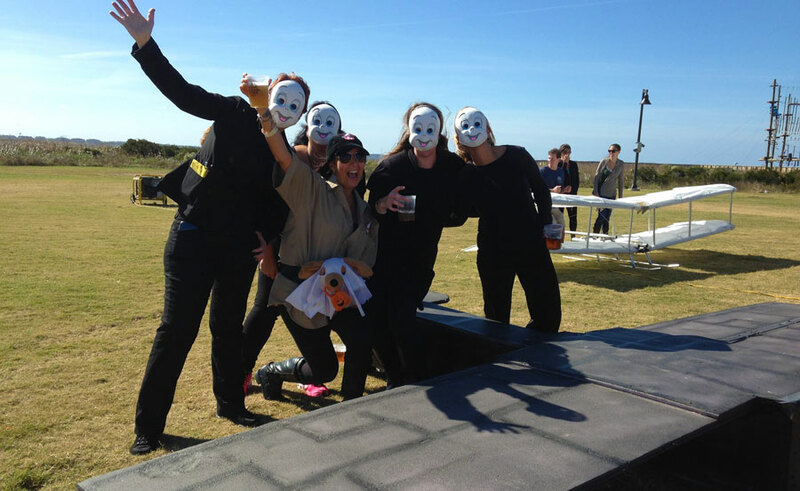 OBX Brewtag invites you to go ahead and debut your Halloween costume. There’s no shame in getting into the spirit a bit early! There are costume contests for everyone at any age, including a family costume contest, a kids' costume contest, an adult costume contest and even a dog costume contest. This event is nothing short of all-round fun. As mentioned earlier OBX Brewtag is free and open to the public. If you want to compete in the keg flying, there’s a $150 entrance fee per team. Half of the earnings at this event go to The Rogallo Foundation. This organization honors Francis and Gertrude Rogallo, who invented the first successful flexible wing. Donations enable the foundation to preserve the Rogallos’ aviation legacy and support further research and developments in flight. Make your way to Soundside Event Site on October 27 for an afternoon of beer, flight, enthusiasm and good vibes. The festival opens at noon, and the Keg Flying Competition starts at 1 p.m. There’s no onsite parking, but shuttles will run from the lots at Whalebone Park and Nags Head Elementary School. You can also park at Gray Eagle, Gull, Glidden, Forrest of Epstein beach accesses and walk or bike over to the festival (no shuttle at the beach accesses). Check out the event’s website for more information. If you want to know more about other happenings on the Outer Banks, our Daytime Events page tells you when and where you’ll find every event. For activities that last into the night, be sure to take a look at our Nightlife page too.